The soldiers of the Third U.S. Infantry Division in World War I were outnumbered and inexperienced young men facing hardened veterans, but their actions proved to be a turning point during the last German offensive of World War I. In stopping three German divisions from crossing the Marne River, these heroic American soldiers blocked the road to Paris east of Château-Thierry, helped save the French capital and, in doing so, played a key role in turning the tide of the war. The Allies then began a counteroffensive that drove the enemy back to the Hindenburg Line, and four months later the war was over. 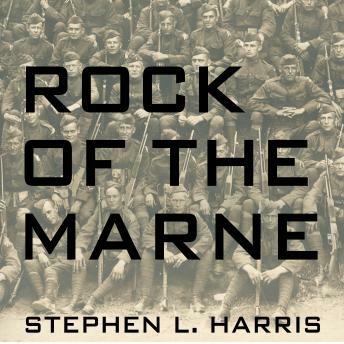 Rock of the Marne follows the Third Division's Sixth Brigade, which took the brunt of the German attack. The officers, many of them West Pointers and elite Ivy Leaguers, fighting side-by-side with enlisted men-city dwellers and country boys, cowboys and coal miners who came from every corner of America along with newly planted immigrants from Europe-answered their country's call to duty. This is the gripping true account of one of the most important-yet least explored-battles of World War I.